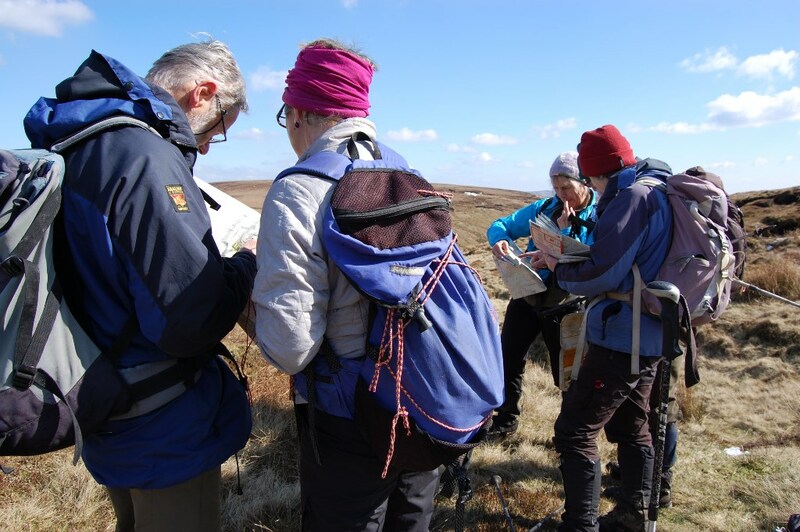 In glorious sunshine and armed with maps and compasses, 6 of us paced and timed our way to a variety of paths, stream junctions, ponds and grouse butts in an effort to practice our navigation in the wilds of Bleaklow around the upper Alport valley. 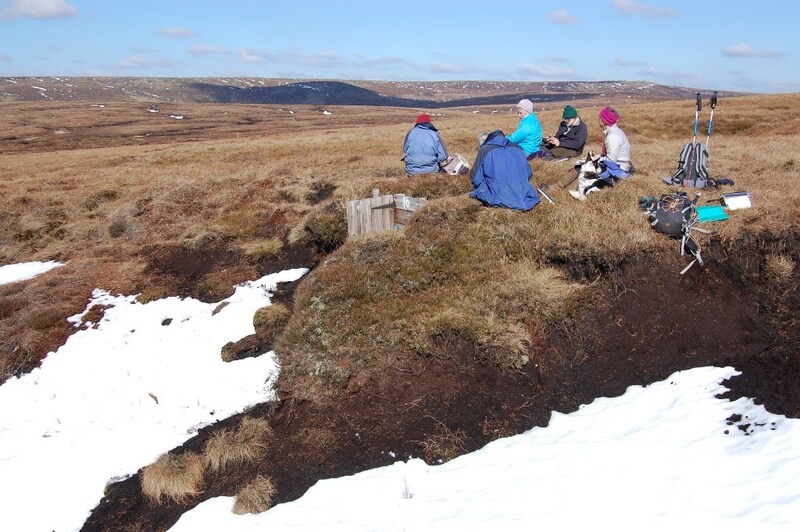 We were also lucky enough to see 2 mountain hares in their white winter coats, and only one person fell in a stream (I think without getting particularly wet fortunately). Thanks to all who came, for your company and for willingly engaging in the challenges (especially the mental arithmetic) of the day. I hope our skills are now slightly less rusty! 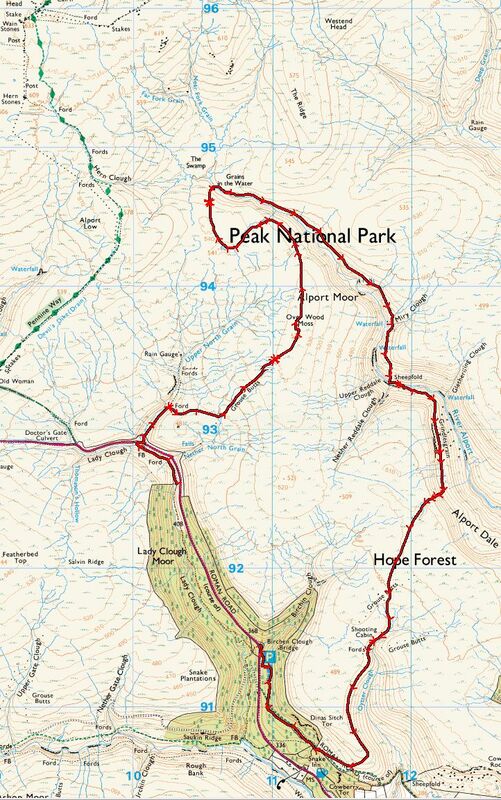 The track of our walk (I did not record the first section through Lady Clough Plantation). 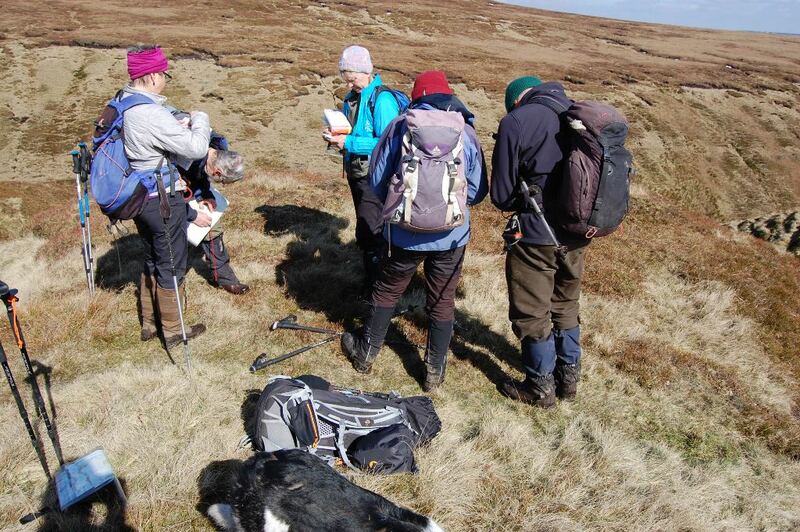 Our coffee, lunch and tea stops are indicated where there is a red star. Andy.